The grain onion is spherical, orange-brown copper bulb. Onion late harvested starting in mid-August.Variety most commonly used for its long duration (repair 8 months). It is of a very good physical properties and a great taste. With a globular shape, and color which they are named, and its flavor has a spicy and sour. The grain onion is used in many dishes, cooking it to enhance and add flavor to many dishes from around the world. Despite its low energy input, grain onion is a food rich in vitamins, minerals and other nutrients. They are especially rich in vitamin B6 and flavonoids, components that help reduce the risk of heart disease. 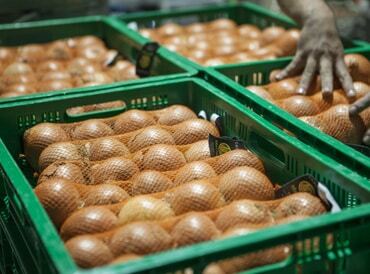 Brown grain onions varieties have the characteristic to offer a greater shelf life than the rest, as long as you respect the conservation in cool and dry. 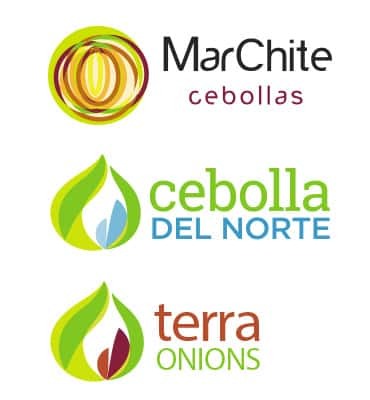 Onions Marchite produces and distributes several brands of onion of its property for the different national and European markets, to attend to the different needs of differentiation of our clients and to identify the different products that the company produces. 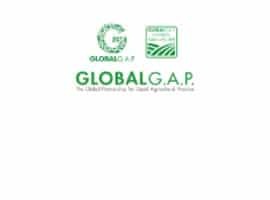 TESCO NURTURE and GLOBAL GAP regulations. 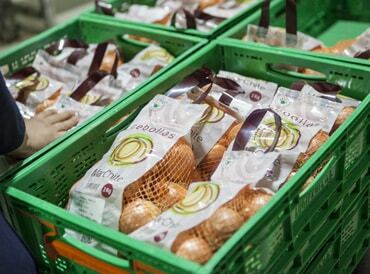 All brands of onion produced by Marchite have been grown by the company itself, in order to ensure its maximum level of control and quality from planting, through cultivation, harvesting, calibration, bagging and distribution of the onion. 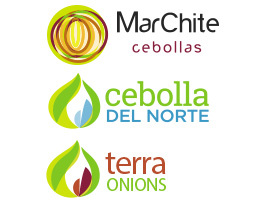 Onions Marchite does not distribute onions bought from third parties, which is a differentiating value that our customers value greatly. 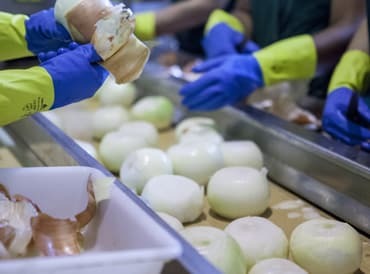 All our onions go through a process of calibration and positive selection, choosing only those that meet the quality standards set by the company and that our customers expect and value.